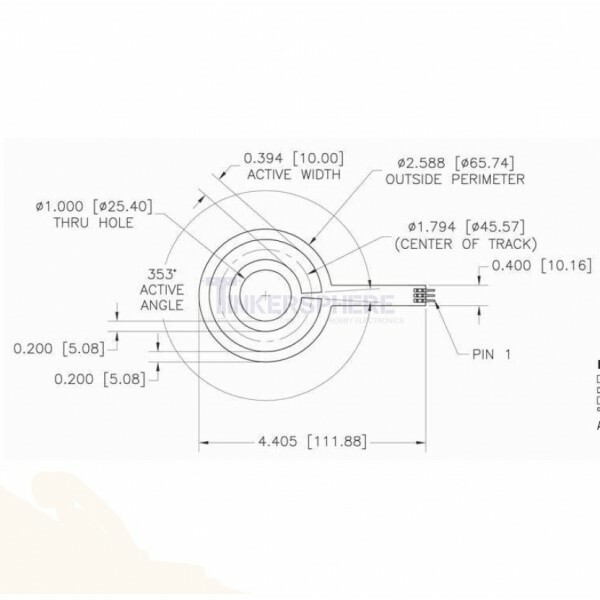 Detect touch using this circular soft potentiometer or SoftPot. As your finger moves clockwise or counterclockwise around the sensor, the resistance changes, just like a regular potentiometer! Perfect for scroll wheels, volume changing & more. This Circular Touch Sensor is a Linear Soft Potentiometer. 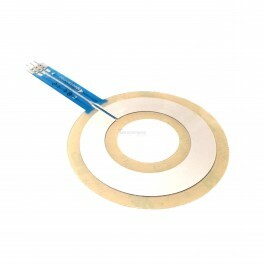 It is flexible and the resistance varies depending on the location the circle is pressed. The outer 2 pins have a set resistance of 10K Ohms and the center pin's resistance changes when the circle is pressed at different spots. You can detect presses, swipes and scrolls easily with this sensor!